My husband is an introvert…I am not. One of my parents is an introvert…the other is not. Researchers estimate that introverts make up 26 – 50% of the population. There are many couples that are in a mixed introvert + extrovert relationship. As with anything in marriage, it’s easy to get frustrated and try to change the other person. Instead, let’s consider what an introvert is and how they “show up” in marriage, parenting, and under stress. At the end of this post, you’ll also find a few helpful tips. If you’ve ever thought, “Help! 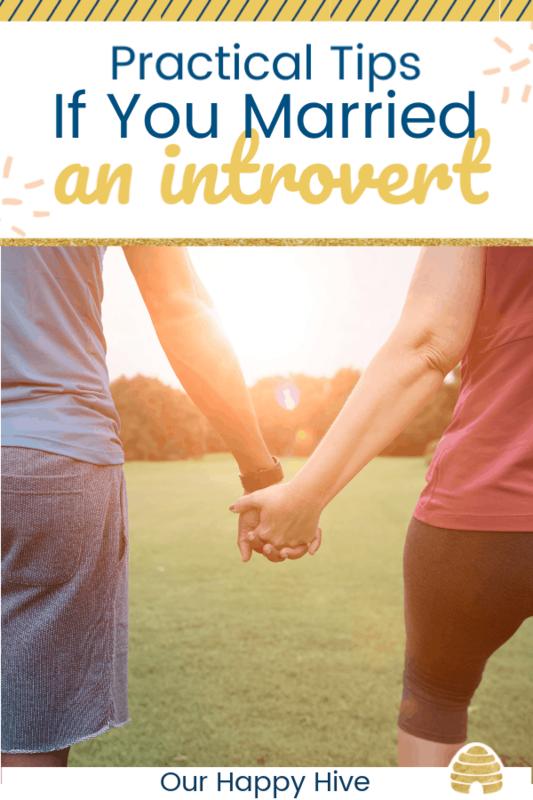 I’m married to an Introvert,” then, read on! Introversion and Extroversion are a measure of where one gets his/her energy and can be seen on opposite ends of a spectrum. People can have both introvert and extrovert tendencies, but like being right or left handed, they naturally prefer one end of the spectrum. An extrovert gets energy or is stimulated by the world around them. Being with other people and having a lot of different activities energizes the extrovert. An introvert gets energy internally. Being alone, reflecting, and processing ideas energize the introvert. Note: Many people confuse introversion with someone who is shy so it’s important to note that this is not the same thing. 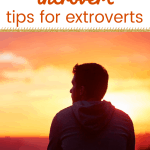 Introverts can enjoy being with people and have tremendous people skills…it just tires them! Entire books have been written about these two dimensions. Check out this site if you want to learn more. 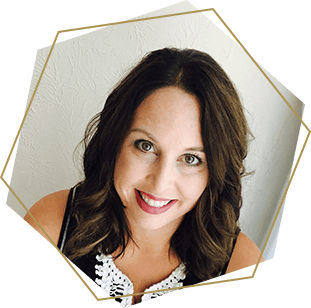 The bottom line is, Introverts and Extroverts are literally “wired differently.” Their brains function differently than each other’s, they have different needs, and they show up differently in marriage, parenting and when under stress. What does an introvert look like in marriage? There are lots of benefits to being married to an introvert. They are very private and confidential. Are often, deep thinkers. They also are usually pretty good at listening. In marriage, they may not share how they are feeling until they’ve had time to process. You may need to specifically ask how they are feeling / what they are thinking to actually know what “space” they are in. They likely won’t be apt to make social plans with a group of people or schedule a lot of activities. They more likely prefer being in small groups of well-known family or friends. What does an introvert look like in parenting? Introverted parents may struggle with having a lack of alone time and verbally sharing their emotions with their kids. 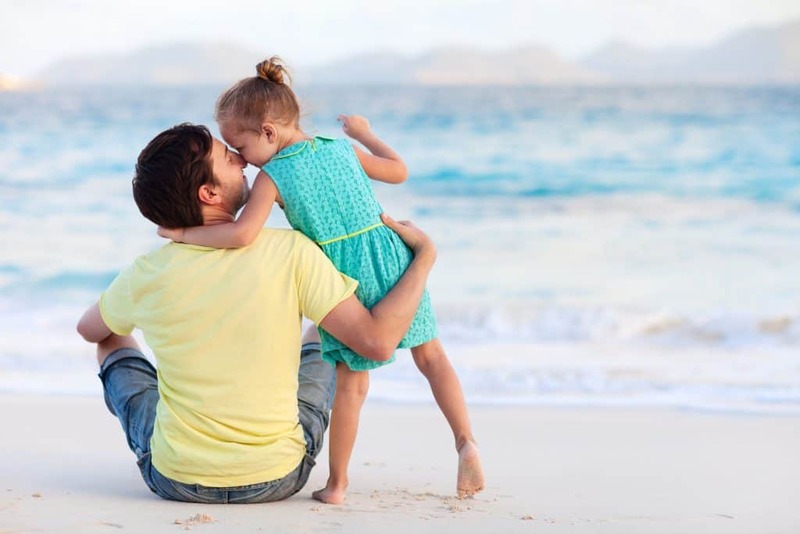 It’s not to say that they don’t have emotions for their kids, they may just be more prone to think about them internally than share them externally. The noise of a busy family may be difficult for them. On the other hand, an introverted parent may also observe things the “busy extroverted parent” might miss. They can also be great at connecting one on one with their kids on a deeper level. My husband is great with the kids. He enjoys playing with them, engaging them in story time, and making the most of these wonder years. With that said, it takes the energy out of him. He needs time to recharge and usually after they are in bed, he needs some serious downtime. As his partner, I also find ways to give him cues when he’s “introverting” and assumes that others also “hear” his thoughts. What does an introvert look like under stress? An introvert can feel under stress if they’ve had too much time with others and not enough downtime. They may feel overwhelmed and withdraw even more. As a spouse of an introvert, you can help them manage when they become overspent. If you’re married to an introvert, consider the following tips. Alone Time – Make sure your partner has time to recharge. This may mean giving them space when they get home from work or after a busy day. It may also be helpful to take the kids out of the house and allow for some “quiet” in the home. Plans with Close Friends – Avoid planning a lot of large group events. Consider what is on your spouse’s plate that week and the other stressors they have and plan your social times either with a few good friends or on a less stressful week. Ask Questions – They say, if you don’t know what an extrovert thinks, you weren’t listening. If you don’t know what an introvert thinks, you didn’t ask. Ask thoughtful questions when there’s something you’d like to discuss and be sure to listen. Don’t Assume – Remember that your introverted spouse is wired differently than you. If they are quiet, it’s not necessarily because they are mad or giving you the “silent treatment.” If they don’t share something, it may not be because they are trying to keep a secret from you, but because it didn’t even dawn on them to articulate their thought. Don’t jump to conclusions and remember if there’s something weighing on you, to ask questions. Being married to an introvert can bring many wonderful things. In my case, it’s brought a partner that is a confidant, someone who thinks deeply, and offers sincere thoughts when he talks. While we show up differently in marriage, parenting, and under stress, at our best, our differences compliment each other. As with anything, don’t try to change your spouse, try to understand them and bring out the best in them!